I admit to being the sort of mama who doesn’t always enjoy going to the park. I feel like getting ready to watch the kids play is too much effort. I’d much rather stay in me pj’s and be barefooted while knitting inside and glancing out the window. The thing about city life id that it’s not all about me, right? I kids LOVE the park and so I must oblige them as often as possible. This truly keeps us all sane. Cabin fever is a frequent ailment these days. I’m trying to be better. Better at self-sacrifice, effort when I’m tired, letting them be kids, ignoring the fact that out seven brushes are never to be found, better at calm. I’m attempting to train into my heart more slow, more thankfulness, more heart swelling moments of pleasure. More enjoyment. After all there is always something to enjoy. Feeling proud of Josie Bean for all the physical accomplishments she had been though. I’m proud of her for simply being able to ride her bike. I feel happy to see the kids playing with friends at the park, and friends who share their super fun Christmas gifts such as hover boards. I found excitement in watching a bunch of neighborhood kids use their imaginations. I was surprised and joyful to watch my boys playing basketball with each other when they could’ve played with someone else. They preferred each other! 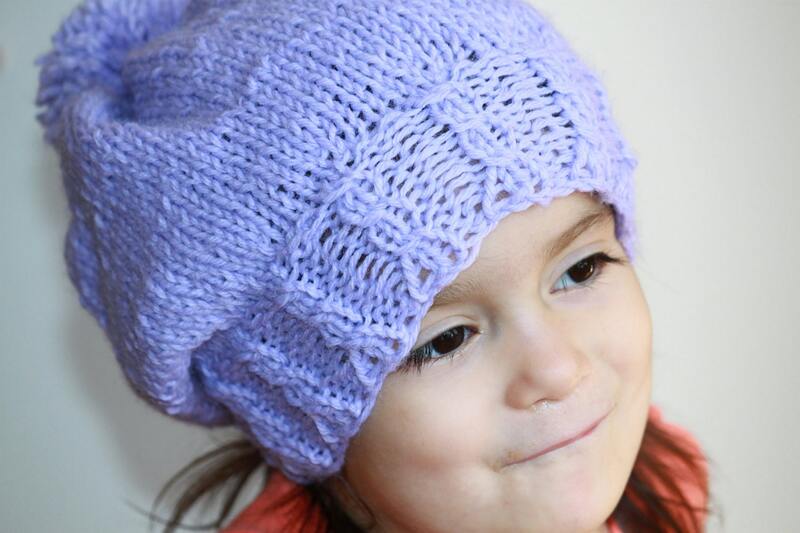 I felt relaxed knitting in the warmth of the winter sun this beautiful pattern. I look forward to wrapping up in this knit so very much. It’s been the longest stretch of no knits I’ve had in five years! Partly due to busyness, partly to lack of yarn, it’s been a couple of months since I touched any knitting. I’m happy to announce that I broke down and bought the yarn I needed to finally finish the updated version of Stripe the Squares, Baby! Yay, me! I can’t wait to feel that wool between my fingers again. I did finish The Three Musketeers recently. Double yay. I’m a fan of classic writing. After spending so many months in the mind of Dumas, I needed some easy reading. Currently on the night stand is 206 Bones by Kathy Reichs. I believe it’s number thirteen in her Temperance Brennan series. Yes, I’ve read them all. In order. Like a nerd. What’s on your needles? Have you read a good book lately? Please share. 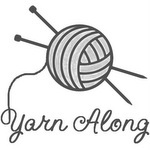 You can join the Yarn Along by clicking the link above. Happy yarning friends! It’s back folks. My knit mania that is. I have worked on this blanket for years now. It’s really turning into a beast. It’s merely a scrap blanket. I had some hats and such completed for Christmas, and that lead me to more bits to add in. I’m loving the memories of gifts I see when I look at this blanket. Some are from my first projects (which were quite ugly, I assure you). On the night stand are some great reads. The Three Musketeers I do love a good classic read. Sacred Marriage Not too far into this one, but I love the concepts so far. Very deep.